Most of my railway journeys start at this station. Two weeks ago I travelled from here to Kilkenny and this Wednesday I will travel to Waterford. 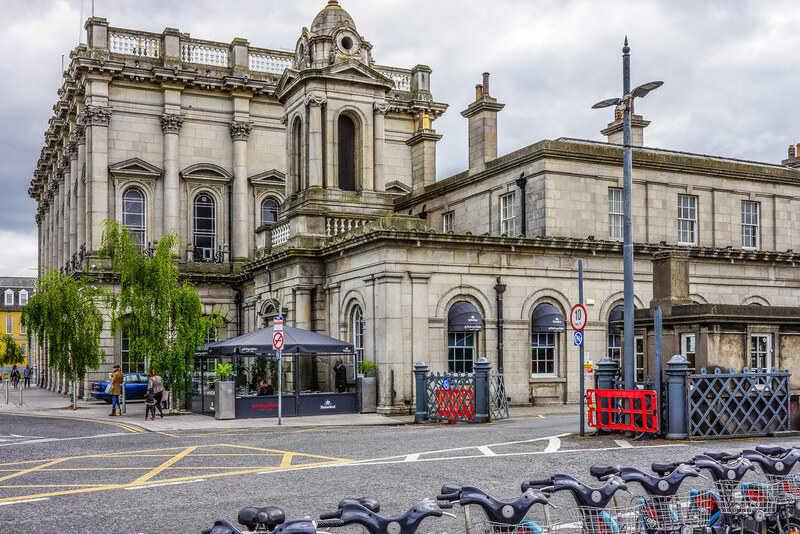 Heuston station is best described as being a transport hub because there is a variety of travel options available. There is the Luas red line tram service. There are 3 DublinBike docking stations and a variety of excellent bus services. The station has improved greatly over the last ten years. The one thing that has improved is the public toilets area especially since they stopped charging for using the facilities. Eating and drinking there is expensive so my advice is bring your own supplies or dine elsewhere. Heuston Station (formerly Kingsbridge Station) is one of Ireland's main railway stations, serving the south, southwest and west. It is operated by Iarnród Éireann (IE), the national railway operator. It also houses the head office of it's parent company - Córas Iompair Éireann(CIÉ). The station opened on 4 August 1846 as the terminus and headquarters of the Great Southern and Western Railway (GS&WR). It was originally called Kingsbridge Station after the nearby Kings Bridge over the River Liffey. In 1966, on the 50th anniversary of the Easter Rising it was renamed "Heuston Station", in honour of Sean Heuston, an executed leader of the Rising, who had worked in the station's offices.